Blast Ninja is a next-generation abrasive blasting nozzle that significantly reduces noise exposure at the source. The Blast Ninja system was initially developed for the US Air Force and leverages previous research done on aeroacoustic noise reduction for jet engines. The Blast Ninja nozzle reduces noise exposure to the blast operator by an estimated 20 decibels over currently-used blasting nozzles. Oceanit has performed many rounds of lab analysis, field trials, and rigorous testing in various blasting environments to arrive at the final Blast Ninja product. OSHA has implemented noise exposure limits for the worker’s health and safety. Exposure to high levels of noise can lead to: hearing loss, tinnitus (ringing in the ear), stress, anxiety, high blood pressure, gastrointestinal problems, and chronic fatigue. Per OSHA requirements, better hearing protection does not reduce worker noise exposure. Only by reducing sound at its source will a worker experience non-hazardous noise. The Blast Ninja system reduces noise exposure at the source by an estimated 20 decibels over currently available blasting nozzles. The reduction in employee exposure to hazardous noise to below the OSHA 8-Hour Time Weighted Average alleviates employer’s need to modify employees’ current practices, decreases the need for personal protective equipment (PPE), reduces the likelihood of injury in the case of PPE failure, and ensures that personnel in adjacent “safe zones” are guaranteed to be safe from exposure. Due to OSHA noise standard (29 CFR 1910.95), a worker’s permissible noise exposure limit (PEL) is a time-weighted average (TWA) of 90 dBA for 8 hours. The standard also uses a 5 dBA exchange rate; so for every 5 dBA TWA increase in noise permissible exposure time is cut in half. At 95 dBA a worker can only work for 4 hours and the noise in a blasting facility often exceeds 95dBA. 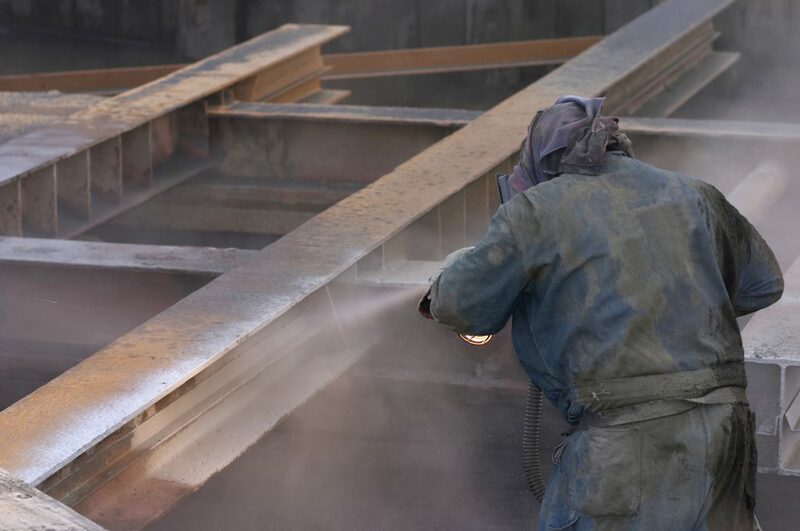 If the noise in the blasting facility could be reduced to 90 dBA or less, workers could operate for a full 8-hour standard work day within OSHA compliance. The use of Blast Ninja nozzle systems increases production where OSHA time-weighted-average exposures rules limit operator exposure. Down time creates excess costs associated with an asset. Oceanit’s Blast Ninja system works by reducing the blast nozzle exit velocity while maintaining blast particle velocity. 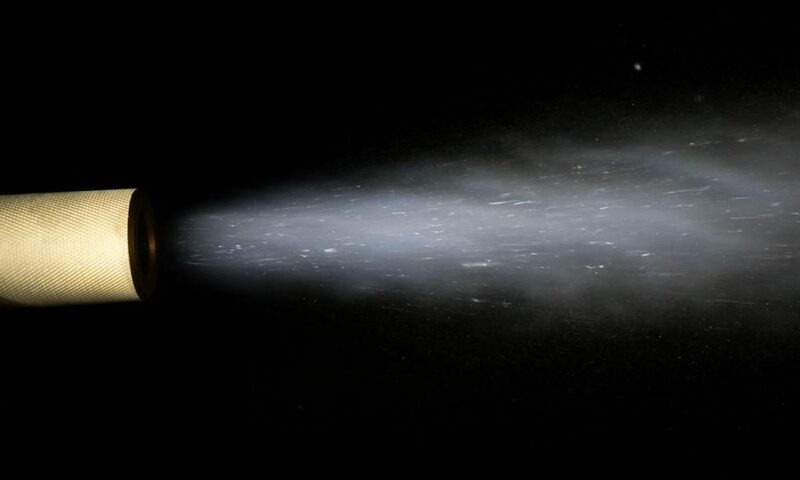 The particle velocity is of abrasives in typical blasting systems is only 30% of the air velocity due to the short acceleration distance available at this velocity. Particle velocity, which is important to productivity, is maintained through an innovative design. 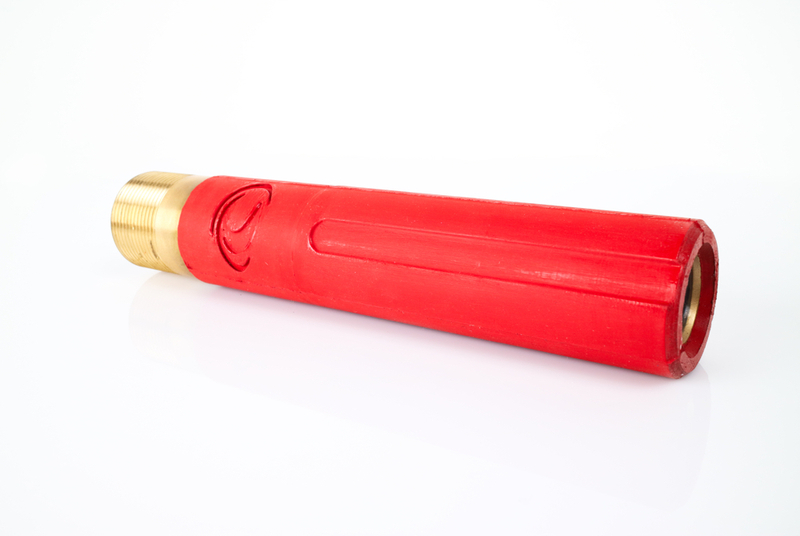 The Blast Ninja abrasive blasting nozzle. Lowers air velocity, not particle velocity. Creates OSHA safe sound levels.